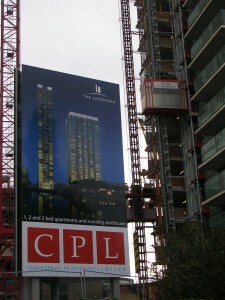 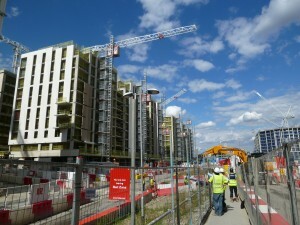 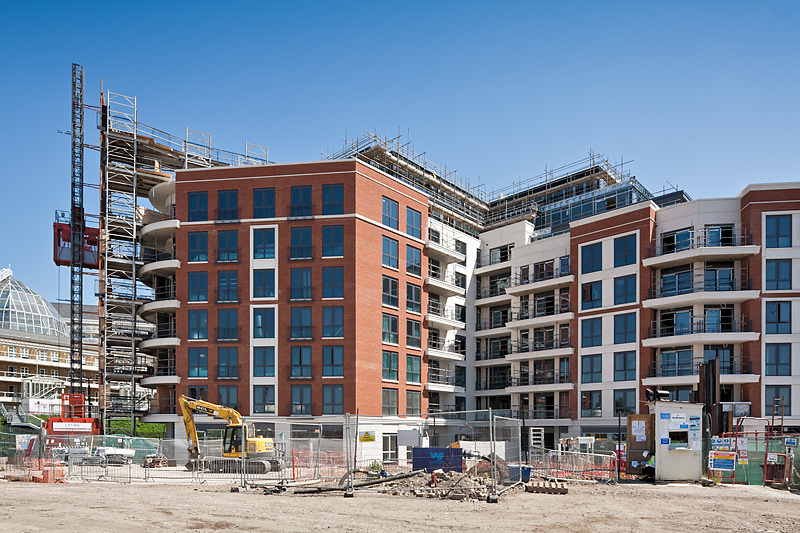 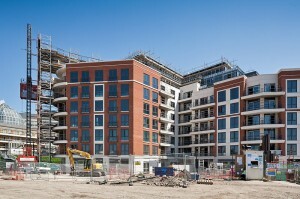 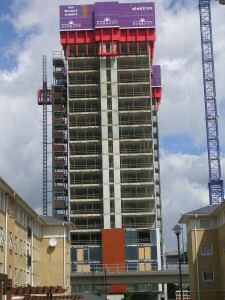 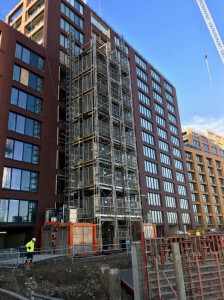 Ardmore have been appointed to construct 142 new high-specification residential units over 8 storeys including all associated car parking and landscaping as part of the first phase of St George’s Chelsea Creek development.UBS are supplying a twin standard speed hoist and common tower for access during the construction of this prestige residential project. 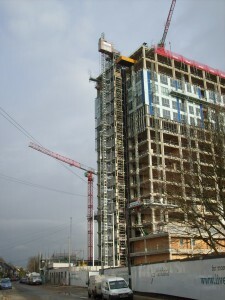 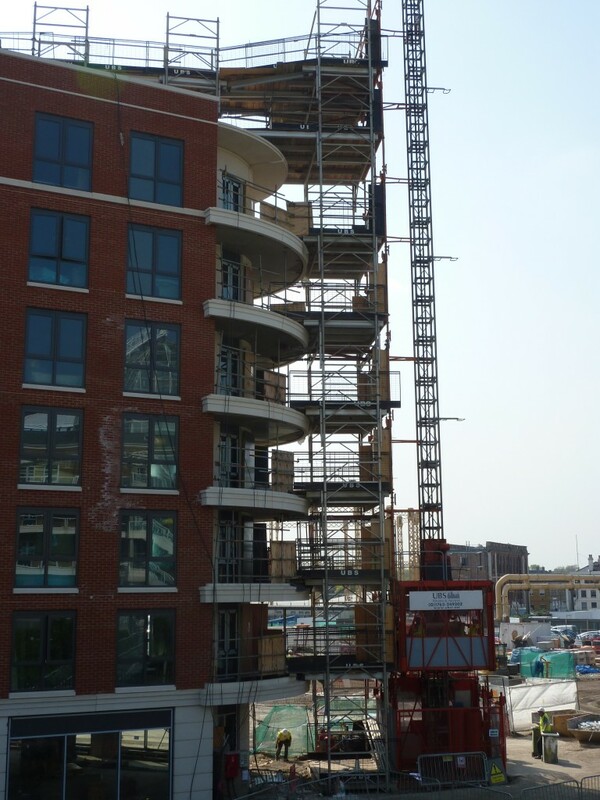 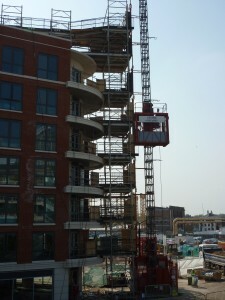 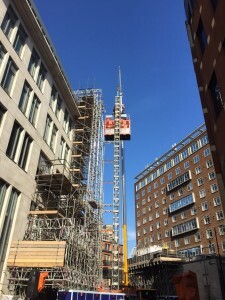 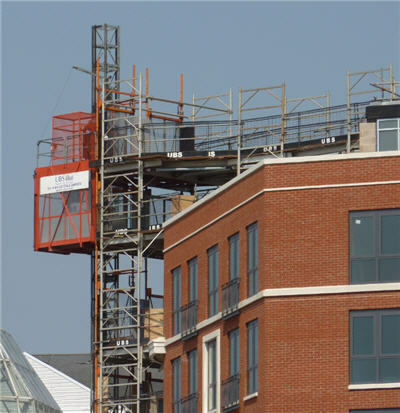 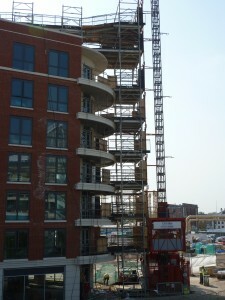 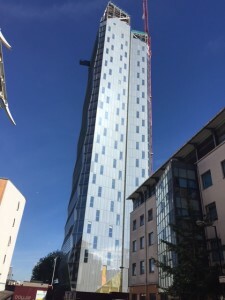 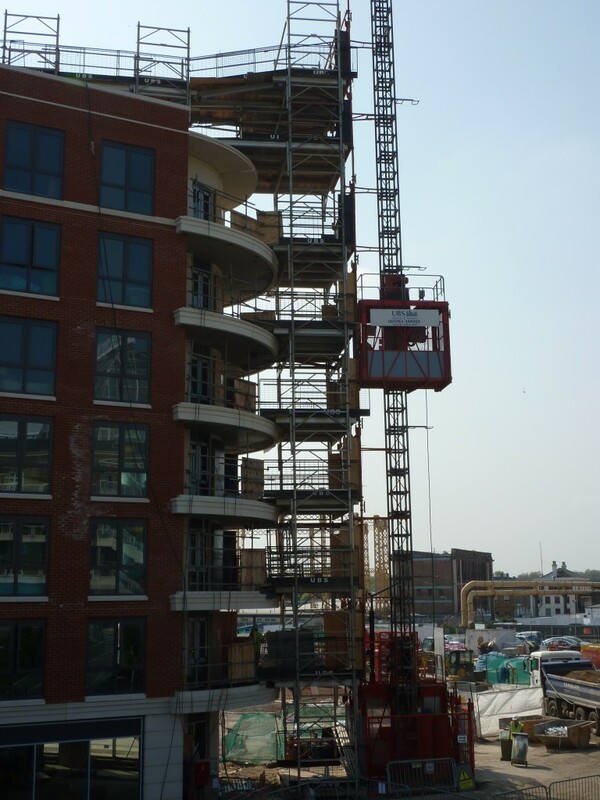 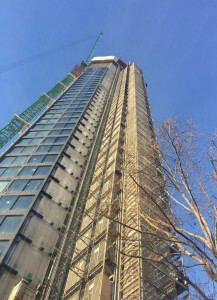 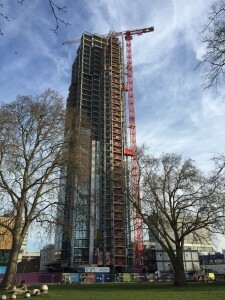 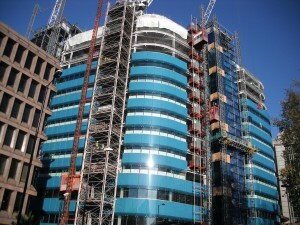 The building steps back significantly at the 7th floor, but the Common Tower has being used to bridge the runoff to the 7th and 8th floors, and also to tie the hoists at all tie levels. 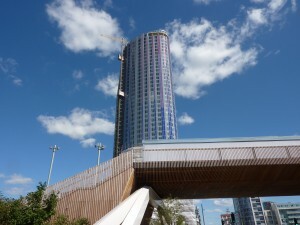 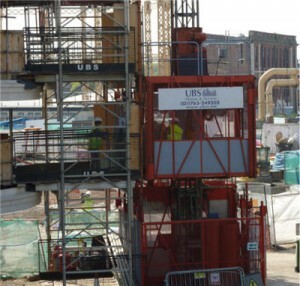 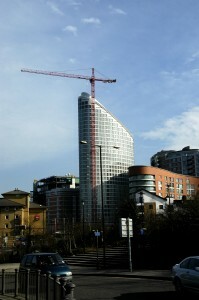 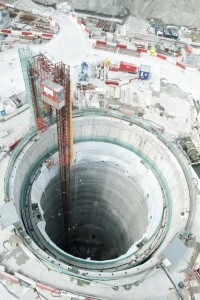 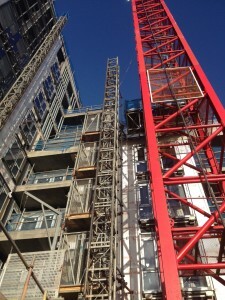 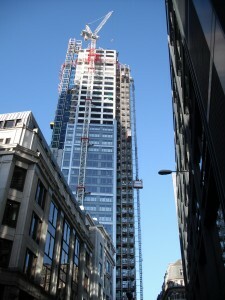 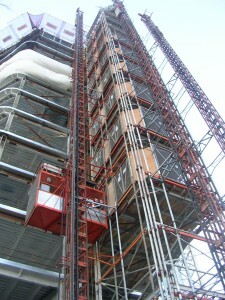 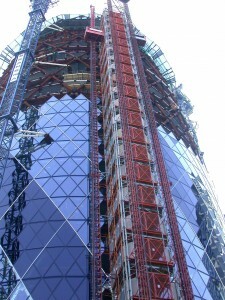 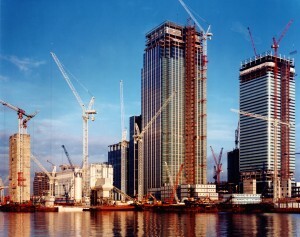 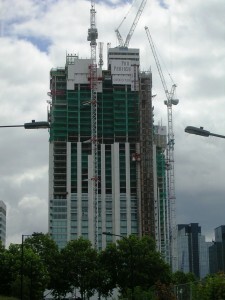 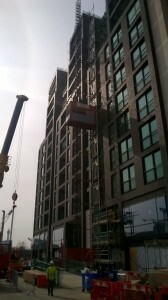 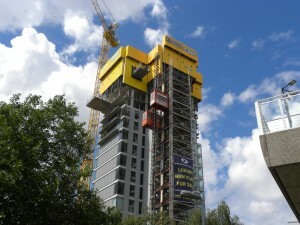 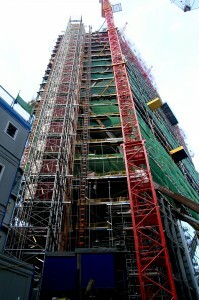 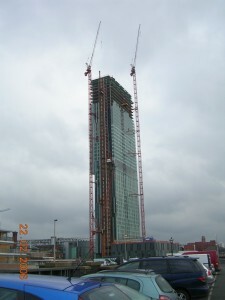 This picture shows how the UBS common tower is used to bridge the gap where the 7th floor steps back. 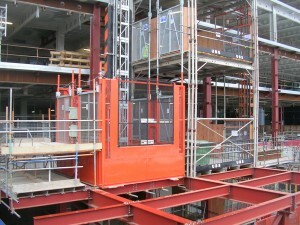 In this picture you can see how the standard speed hoists and runoff bridges at each level.